Grand Theft Auto 4 sort of lets you be a cop, but the LCPD First Response mod takes that to a whole new level. 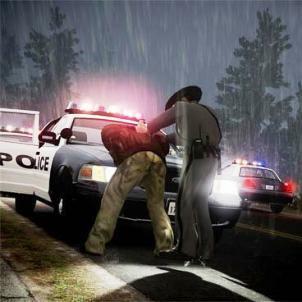 Report for duty at a station, grab a partner and a police vehicle of your choice and start patrolling. You’ll get calls notifying you of any nearby criminal activity. You can either respond and actually arrest the perpetrators or ignore them and just taser, frisk and otherwise harass the innocent civilians of Liberty City.